As we approach Memorial Day, May 26, I have many thoughts that I would like to share with anyone taking the time to read this. So what is “Memorial Day”? This is a day set aside to honor those who died while in the United States Armed Forces, not just in wartime, but in peacetime as well. The practice of decorating the graves of soldiers is an ancient tradition that is older than our country. However, this practice was first recognized in America during the War Between the States. There are several reports of both Northerners and Southerners placing flowers on the graves of those soldiers who fell in battle during the war. We know of several recorded incidents on both sides of the conflict where this occurred, and these incidents are what led to the creation of what was then called "Decoration Day," as the graves were decorated with flowers to honor the fallen. While it is believed that this also occurred after the Revolutionary War, there are no definitive records to indicate it. Over the years, this evolved into our present Memorial Day. 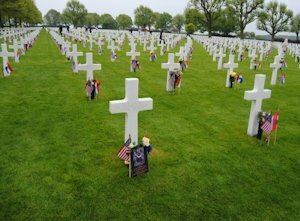 While the meaning of the day remains to honor fallen soldiers, if you were to ask many Americans what this holiday is about, you would probably get answers about barbeques, games, races, and the start of summer. There are many among us who have no idea what this day truly symbolizes, because many have forgotten that it is to honor the men and women who have died in service to us and our country. Few still decorate the graves with flowers as previous generations once did. In the past, graves were cared for and decorated with flowers, not just because they were family members, but simply because they were soldiers who died serving our country. Most of the deceased were unknown to those who placed flowers on their graves. Several European countries have a similar tradition. Though it has a variety of names, the idea behind each is essentially the same. However, in Europe in general, this day is a given different importance, as people from school children to the elderly continue to place flowers on the graves of those who died in service to each country, whether soldiers of their own country or other countries. In addition, children learn the history of each war that has left the graves in its wake. It is taken very seriously by these nations, nations that have been ravaged many times by wars and are keenly aware of the importance of the sacrifices of those who fought. American Cemetary in the Netherlands, cared for by the local residents. This weekend, there will be movies and a few specials relating to our fallen soldiers, mixed in with the races, ballgames, etc. Please take the time to learn why you have the day off of work and consider those men and women who died in service to us, regardless of when and where it occurred. We have fallen soldiers going back to before the founding of America and continuing up until today. 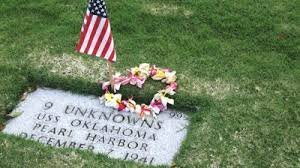 Please take a few moments to honor them, and if you can get to a cemetery with fallen soldiers, perhaps you might want to honor the soldiers by following the ancient tradition of placing flowers on the graves of those who died in service to us.